Legendary CBS News anchorman Walter Cronkite died Friday at the age of 92 after a long illness. 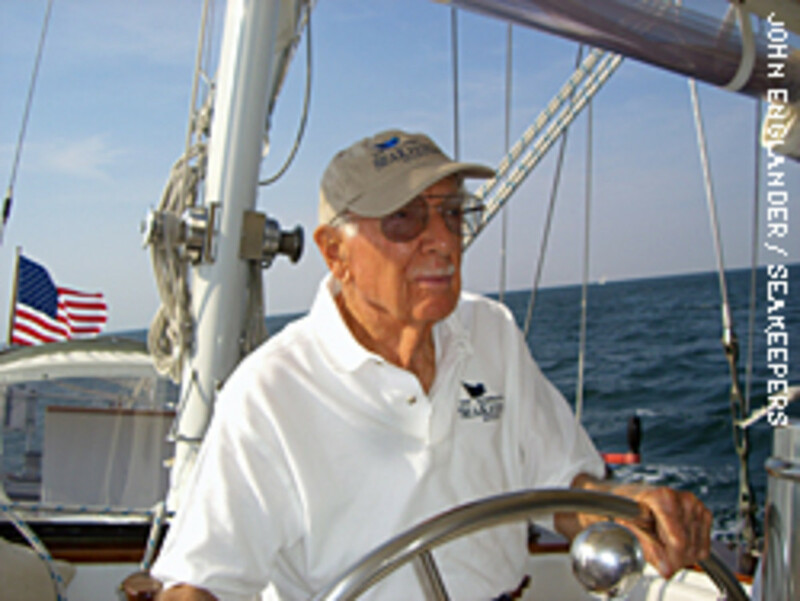 A lifelong sailor (seen here skippering his sailboat Wintje in August 2006, near his home on Martha’s Vineyard), Cronkite was also a member of The International Seakeepers Society, an organization dedicated to protecting the world’s oceans. It is with great sadness that we learned of the death of our 2006 Seakeeper Award recipient, Walter Cronkite. He lived a beautiful life and was always in touch with the sea around us. The International Seakeepers Society will always remember and be grateful for his enduring and now eternal support.